March has been a great month at Youth Interactive! TO STAY UP TO DATE WITH EVERYTHING COMING UP, FIND A CALENDAR OF FUTURE EVENTS HERE. 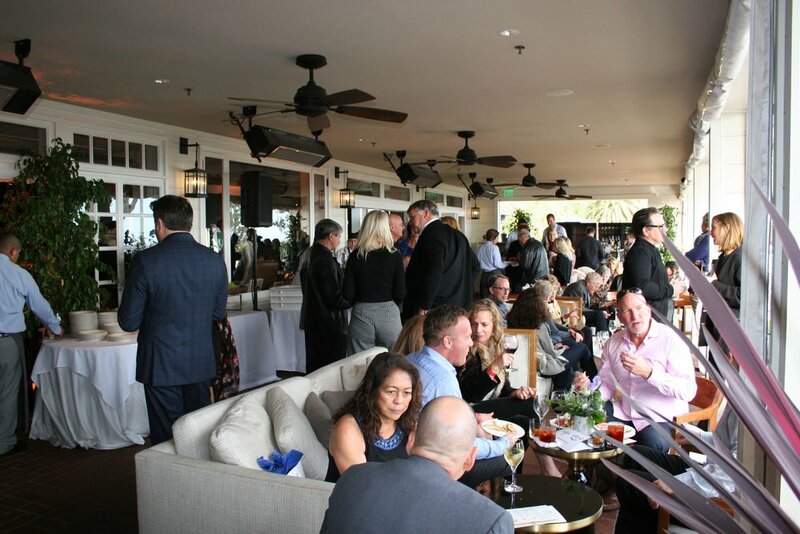 Belmond El Encanto’s 101st Anniversary Celebration was a fundraiser to benefit YI! 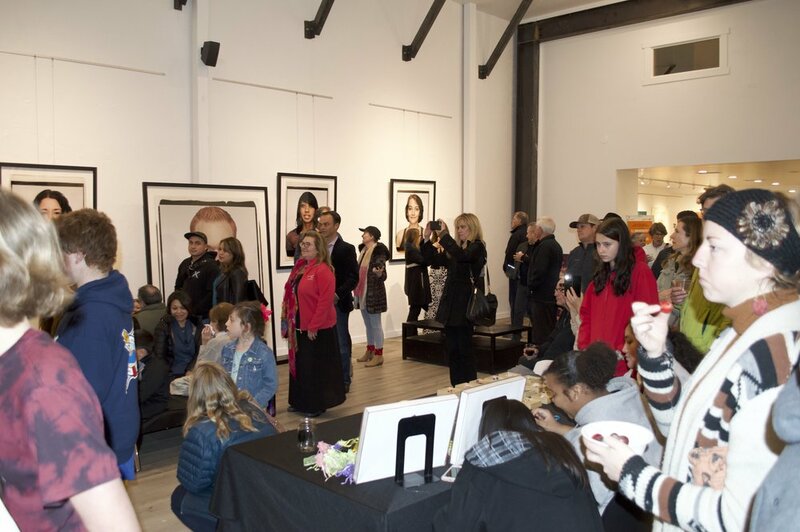 With 250 guests, the event raised more than $28,000 for Youth Interactive! We were so honored and thankful to be the recipients of such generosity. Throughout the event, YI students were present and able to discuss their work with attendees with their products on display. A couple students were even live painting! For the guests, they enjoyed delicious snacks and refreshments, got to see old hotel memorabilia, and could share a memory, postcard, or photo in a time capsule. Thanks to Belmond El Encanto and GoCampaign for such an amazing event! MOXI Field Trips were a hit! Each team was able to visit MOXI (The Wolf Museum of Exploration + Innovation) this month. Students spent the afternoon touring the museum and trying out the interactive exhibits. They got to put together wooden cars to race, launch a bottle rocket, use their heartbeat to play a drum, and so much more! We also held a couple events in our building! CALM (Child Abuse Listening Meditation) Auxiliary was here for an afternoon. Bosch held a three-day conference in our Atrium as well. It was great being able to open up our space! If you are looking for somewhere to host your next private event, please consider Youth Interactive! If you’re interested, you can find out more information here. We are so thankful to have had such a successful month! Thank you for all of your support and for staying up to date on all that we are doing. We could not do any of this without you! The YI Shop is now student run! For the first time ever, the Youth Interactive Shop is now student run! This means that current Youth Interactive students or student alumni are in charge of all aspects of the shop—from products brought in to the decisions being made. Not only does this provide the students with an extra opportunity to make money, but for many, it is also their first job. This gives students important experience and training that can help them to as they apply to other jobs later on. Youth Interactive Alumnus, Cecilia Campos, is now the full time manager of the shop. This is her first time managing anything of this scale, so she says it will definitely be a learning experience. Campos likes leading a team and helping people, so managing the shop is kind of the best of both worlds for her. There also is a lot of room and opportunity for her vision, which she is excited for. Come stop by the shop to see the new student employees and support everything they are doing! Student worker, Louisa Edwards, spends the afternoon working in the shop. The Votes Are In! Meet our spring 2019 student leaders. We are excited to introduce you to the Spring 2019 Youth Interactive Student Leaders! pick a member of their team who they think is accountable, thoughtful, and able to take on tasks and delegate a team. Student leaders help lead production on their team, create a fun buzz throughout the workspace, and market their team and their product. So without further ado, we introduce this semester’s student leaders!! Fun Fact: Osiel likes cats—specifically sphinx hairless cats! Osiel Ocampo is a sophomore at Santa Barbara High School. This is his second semester with Youth Interactive, and he says his favorite part is the bonds and friendships he is able to create! Osiel says he wanted to be a student leader because his friends told him he would be good, and he wanted to step out of his comfort zone and grow. This semester, he hopes his team can sell more jewelry than last year and reach their team goals. Fun fact: Nikky used to have two pet peacocks! Nikky Alvarado is in her second year at Santa Barbara City College. This is her third semester at Youth Interactive, and her favorite part is the environment and learning how to be professional! Nikky says she wanted to be a student leader because she wants to learn how to be authoritative. This semester, she hopes her team can be more time efficient and be twice as productive as last semester. Fun fact: Yahir gets a lot of nicknames! His most common ones are Yaya, Yosh, and Yayir, but his favorite nickname is Farhan. Yahir Lopez is a sophomore at Santa Barbara High School. This is his second semester at Youth Interactive, and his favorite parts are the diversity, the opportunities given, and being able to design t-shirts knowing they could actually be sold! Yahir wanted to be a student leader to help his team be more organized. This semester, he hopes his team can get new t-shirts into the shop, learn from the mentors, and get the name Havok around the city. Fun fact: Al considers himself a manlet (aka a little man)! Al Williams is the high school student leader for CS. He is a senior at Santa Barbara High School in VADA (Visual Arts and Design Academy). 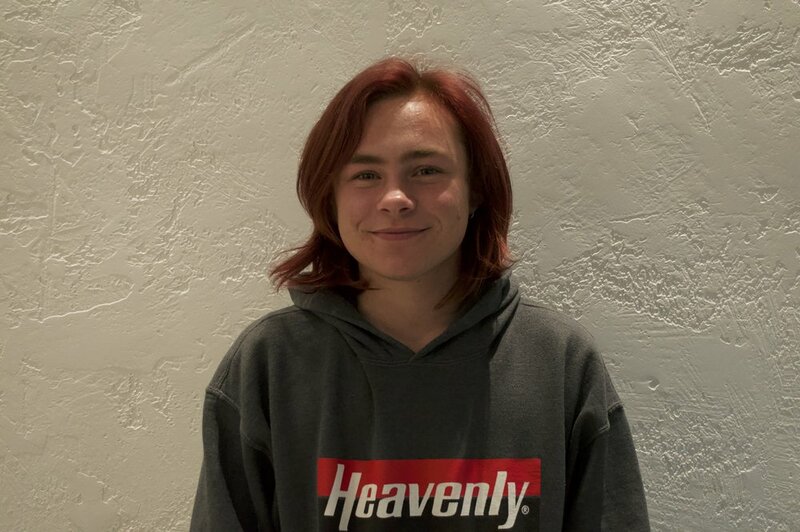 This is his third year at Youth Interactive, and his favorite part is getting insight into how to navigate the art business. Al wanted to be a student leader to step into a position in leadership and cultivate his mind. This semester, Al hopes his team can make art that represents themselves and YI. Fun fact: Louisa has four siblings! Louisa Edwards is the college student leader for CS. She is in her third year at Santa Barbara City College. 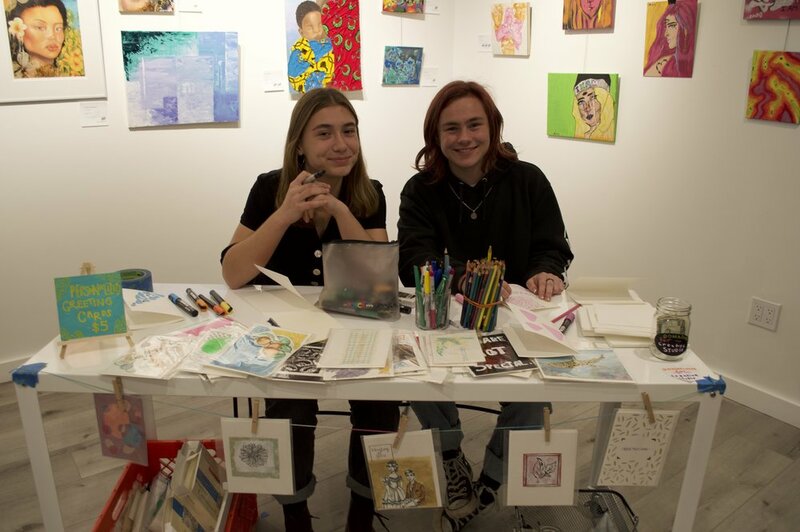 This is her fifth year at Youth Interactive, and her favorite part is how it gives opportunities to young adults and allows them to learn about the professional aspects of being an artists. Louisa wanted to be a student leader to give back to the community that was so good to her. This semester, she hopes her team can become more comfortable with themselves and with the broader implications of their own art. Congratulations to all our student leaders! We had a lot of good things happen at Youth Interactive this month! First Thursday Extravaganza was our most exciting First Thursday yet! 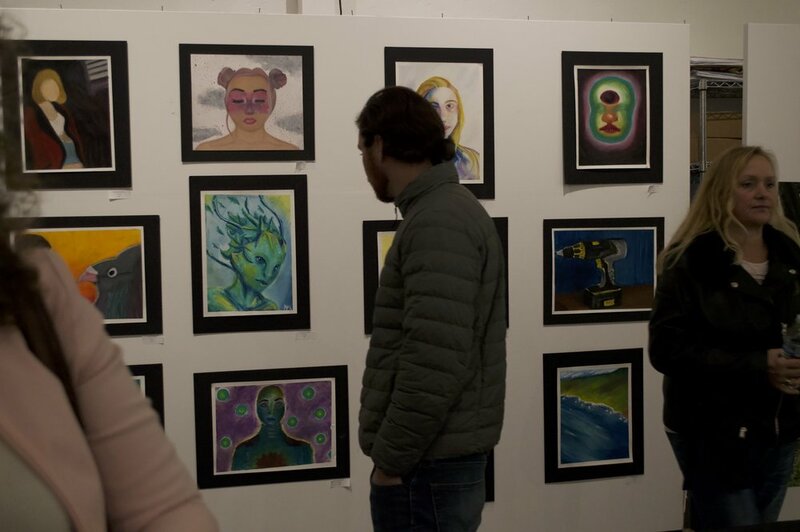 Seniors from the Visual Arts and Design Academy (VADA) from Santa Barbara High School showcased a range of artwork, from photography to acrylic to oil painting. Their showcase was a success and was full of extremely impressive and creative works! 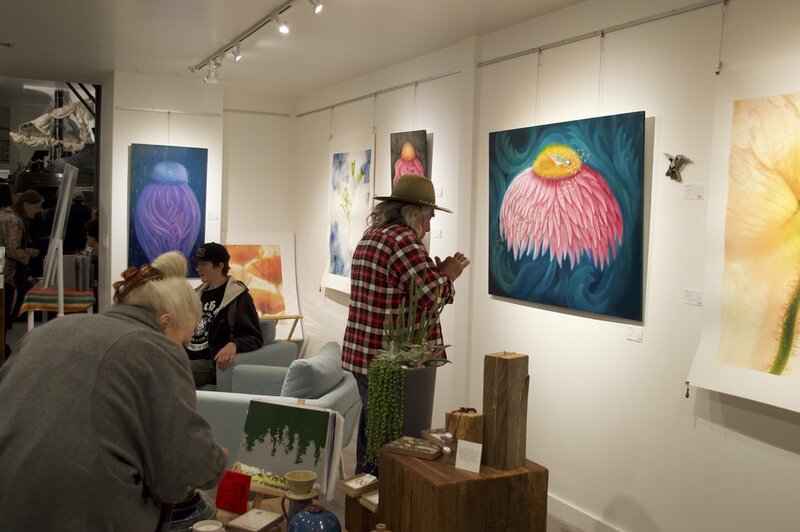 Along with VADA, State Gallery featured Barbara Parmet and her Levitation series, as well as Steven Gilbar and his unique, mixed media collage works. Creative Animal Foundation was also present at First Thursday and shared about their mission and works, including their current conservation project to help endangered black footed penguins off the coast of South Africa. Another organization, Peace Works Travel, premiered a documentary short from their time at the San Diego-Tijuana Border about a woman seeking asylum. Youth Interactive students participated in this trip and were at the premiere to answer questions following the film! We also had a DJ and live music! Chadillac Green’s DJ sets and the performance by Zachary Murdock & The Monster is Your Friend kept the environment lively and moving. There was even a bit of dancing from time to time. In honor of these performances, VADA students helped people create masks going along with the bands theme for the night. 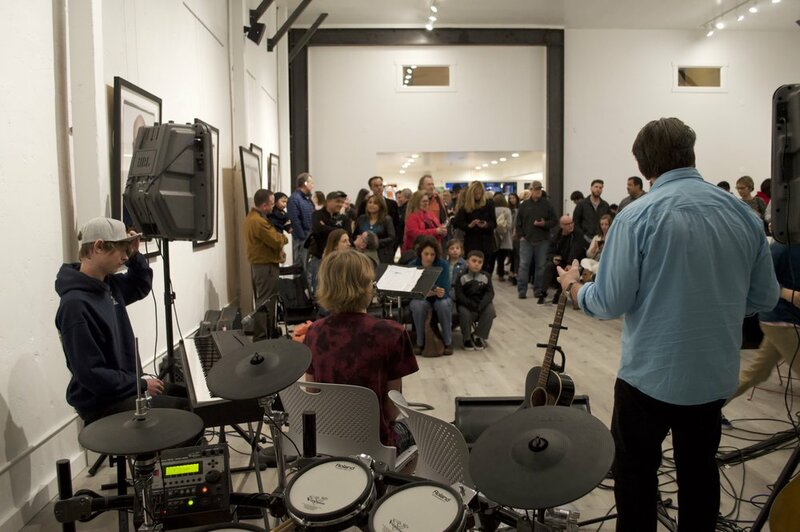 We had over 1600 people come out and join us for a great time of art, music, wine, and community! Check out some pictures from the night! Montecito Bank and Trust was here teaching our students about financial literacy! Bank employee, Brianna, came to give a lesson to each of our four youth-led businesses. Students learned about checking accounts, taxes, investments, savings, and much more! This was an amazing opportunity for our students to get a head start on their own finances and learn important information not otherwise taught. Thanks Brianna and Montecito Bank and Trust!